The flowers at this time of the year are wonderful. 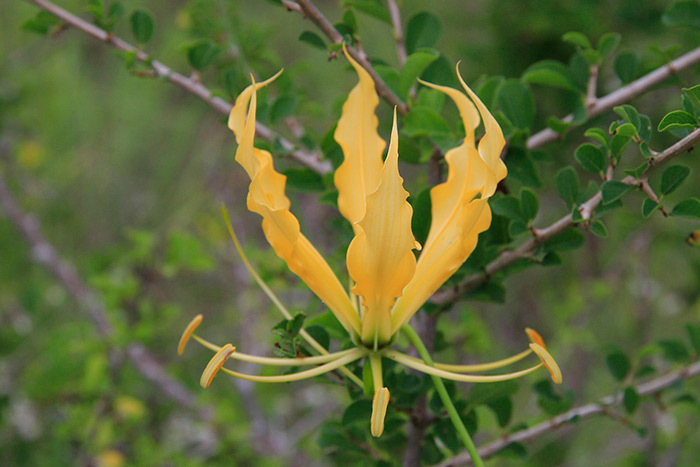 Here you can see a beautiful Flame Lilly in all its glory. 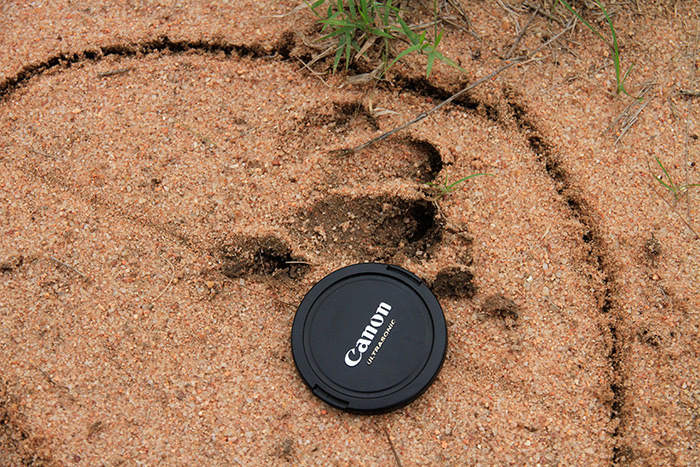 Even though we were not able to locate this animal…a fresh track was all I needed to keep me motivated that maybe 2013 will be the year I finally see an Aardvark! The Ximpalapala 3:4 Young Female takes a break from the heat. 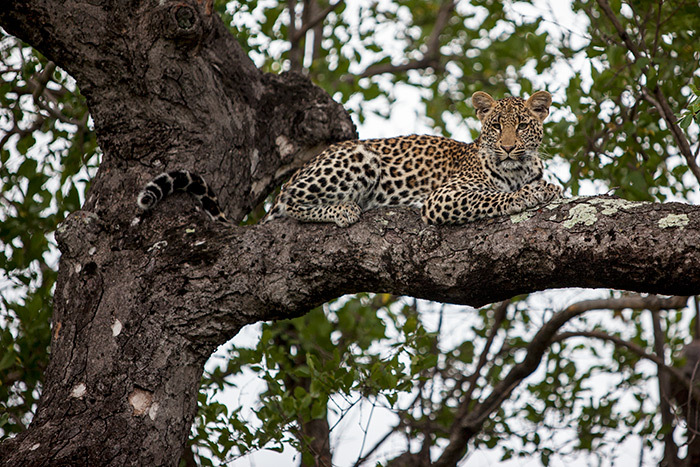 The long grass and the high temperatures has meant that the leopards spend increasing amount of time in the trees. 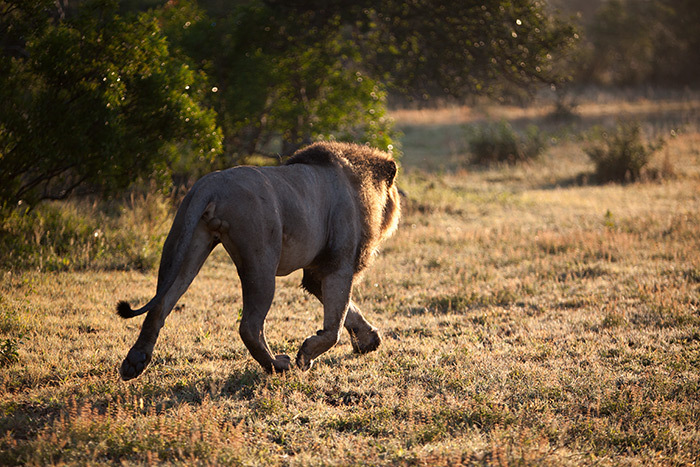 The early morning soft light makes this male lions movements all that more dramatic. Tsalala Young Male. At seven and a half years old this male is starting to look very large and impressive. 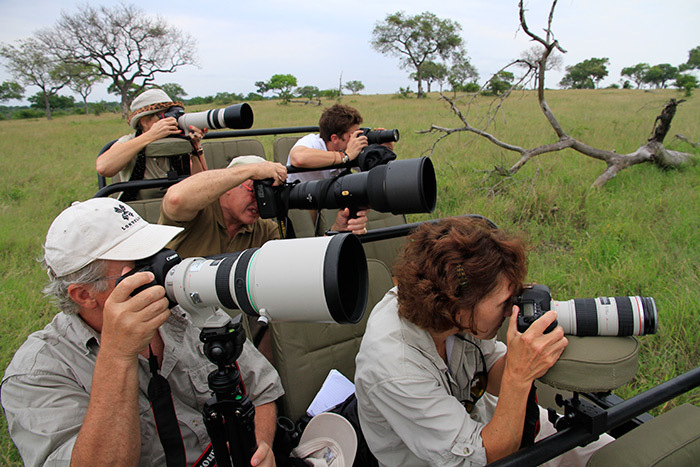 December has been a truly magical time for photographers here at Londolozi. 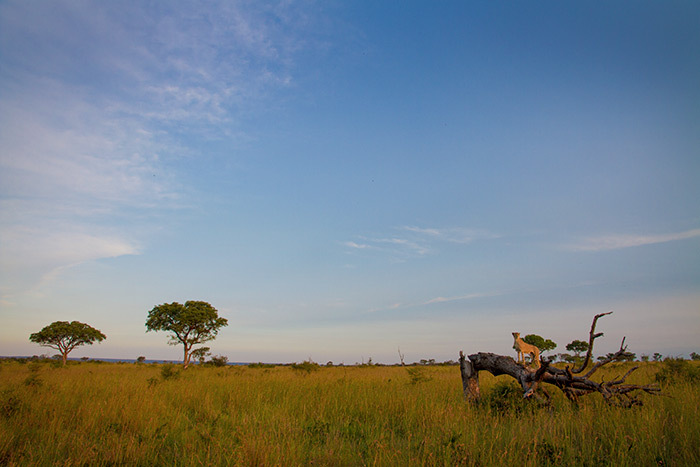 Finding a cheetah just minutes before the sun sets is one of the best pieces of theatre that the bush can provide. 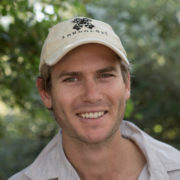 Hi Adam i just want to say thanks for all the wonderful photographs and information that yourself and others have shown to us this past year, Africa is so wild and wonderful and for people like myself and others who will probably never ever get to see it live it shows us how great it is ,thanks again and I wish you and all at Londolozi a Merry Christmas and a Happy New Year . Keith . Thank you very much for those wonderful pictures. Christmas in the bush is indeed very rewarding. Merry Christmas to you all and thank you for the update over the past year. I have really enjoyed it. Thank you for such amazing pictures,You guys are so lucky to capture such amazing sight . 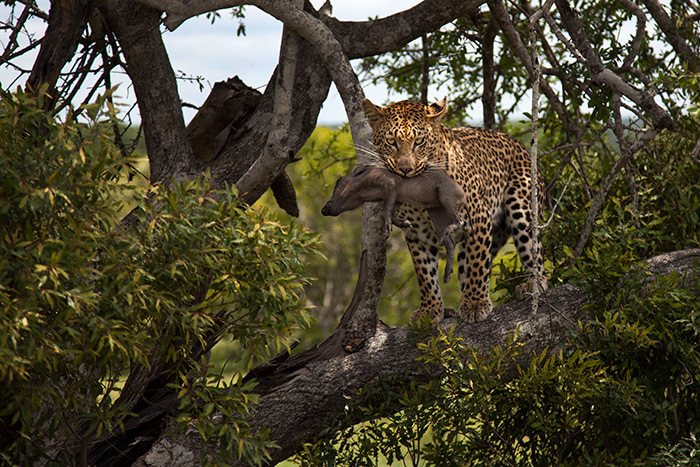 Merry Christmas to you and everyone at Londolozi. Having been able to visit there this past year was an absolutely amazing experience and we so appreciate everyone who contributes to this blog. It lets us still feel connected – until we can return!! Wishing you all the best in 2013. Feels like home through your blog. Pass my wishes also to to Duncan and crew, please. Thank you doesn’t seem enough for all the pictures and stories you tell on this blog. 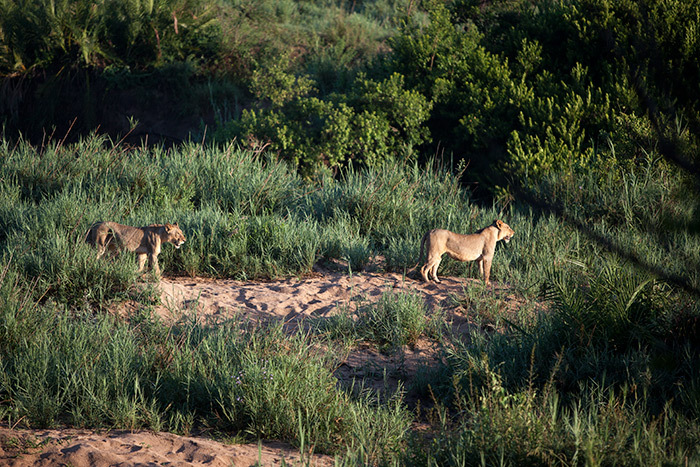 Merry Christmas and a very Happy New Year to all of you at Londolozi. 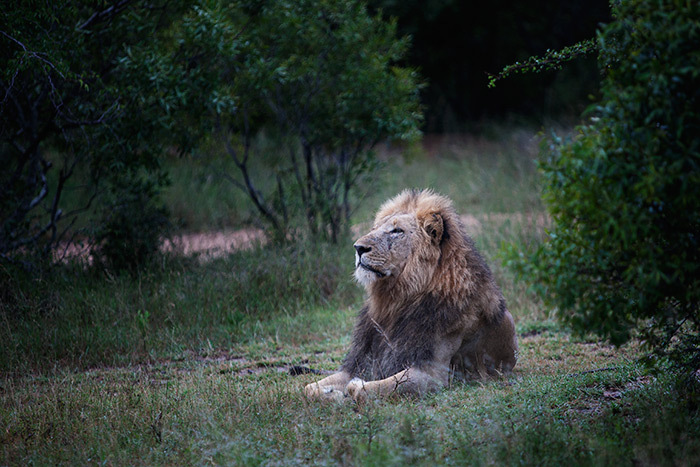 Merry Christmas, Adam, I join the others in wishing you and everyone at Londolozi all the best in the coming year and thank you for the magical moments you take the time to share! 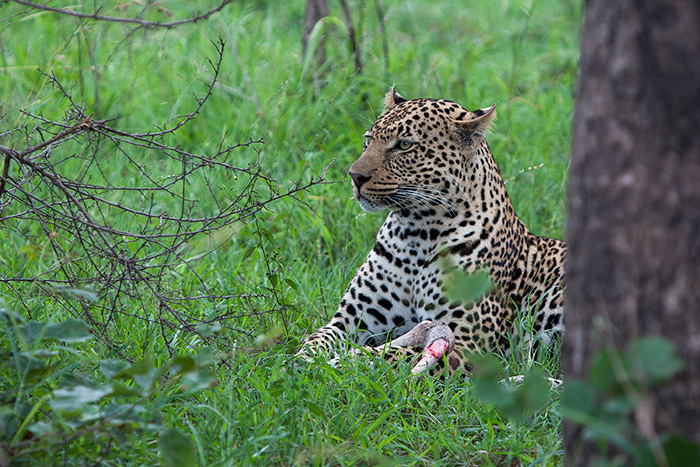 Each evening I look forward to the Londolozi blog pictures and comments. No matter what kind of day I’ve had these stories and pictures make me smile and be thankful that you all are so talented in writing and photographing the goings on in such a special, magical place. And to share with all of us around the world. 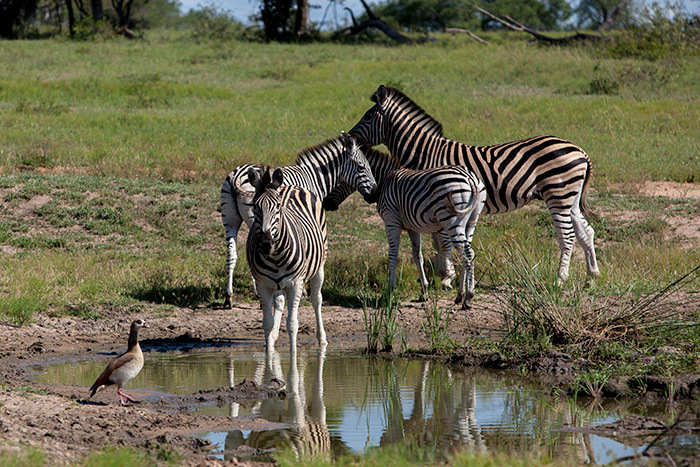 I have had the good fortune to go on safari and know what the smell of the land, flora and wild life is like. To walk in the “bush” to eat the wonderful food and drink the divine wine. 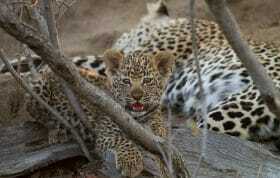 I wish the entire staff at Londolozi a most wonderful Holiday Season. To look forward to all good Blog from all of you in 2013 and to dream of come back, hopefully soon. Thank you very much. 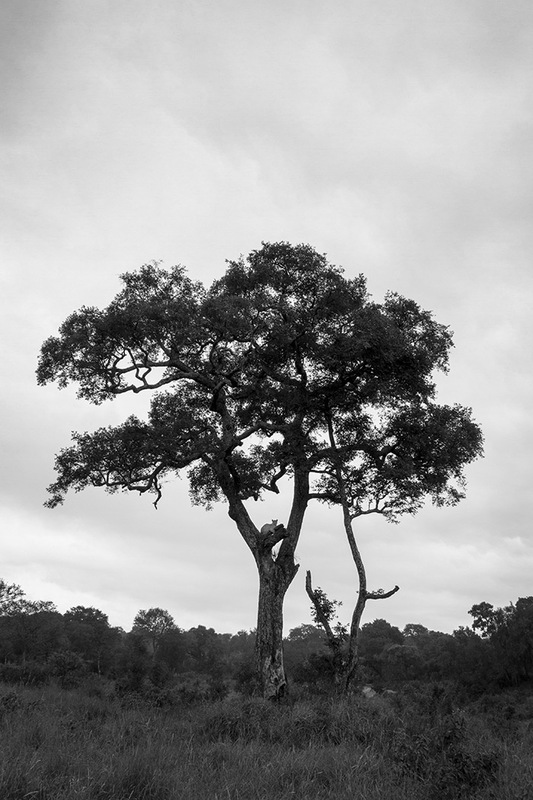 Beautiful pictures and great blog. 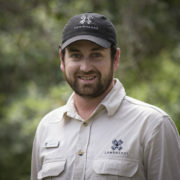 Merry Christmas and a New Year full of fantastic wildlife sightings to you, Adam and all at Lodolozi. Your blogs are always wonderful and the photos always stunning. Thank you for sharing your amazing world with the rest of us who may never have the opportunity to see it up close. Wonderful as always! Lions leopards and cheetahs oh my!. Love the photo of all the photographers ready to shoot! ‘Greetings! My husband and I arrived Christmas Eve December 24 – thru 26 2012, We had a tremendous Christmas Eve and Day at Tree Camp with Kate, our guide “just an incredible gal” ‘So genuine and professional. Rob our tracker was wonderful as well! We did not want to leave but d0 have another 4 night stay at Royal Malewane. My first impressions was not that great. Hoping tomorrow will improve! Thank you so much, Mark, Kate, Robert, Richard and to the girls- for there fabulous meals! Miss you already!!! We are so happy that you enjoyed your stay with us so much! Kate and Rob are a wonderful team, thank you for the kind feedback! 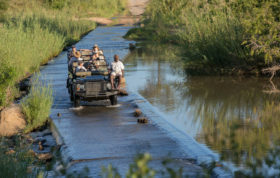 Royal Malewane is a fantastic property and I have no doubt that you will have a wonderful time there! The Tree Camp team misses you both too and send their best! 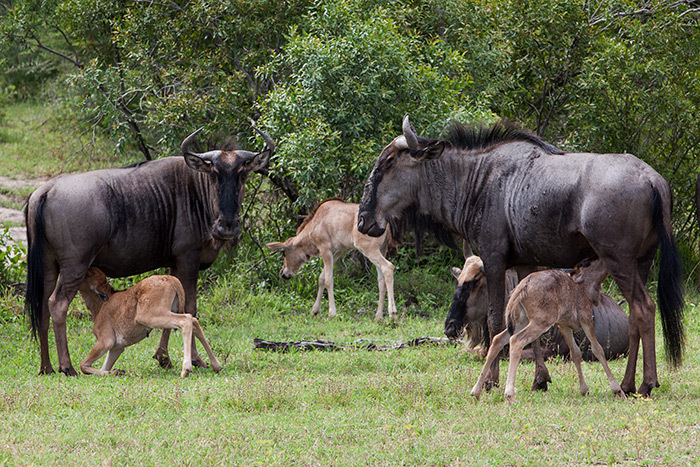 We look forward to welcoming you back to Londolozi in the future! Until then, enjoy the blog! 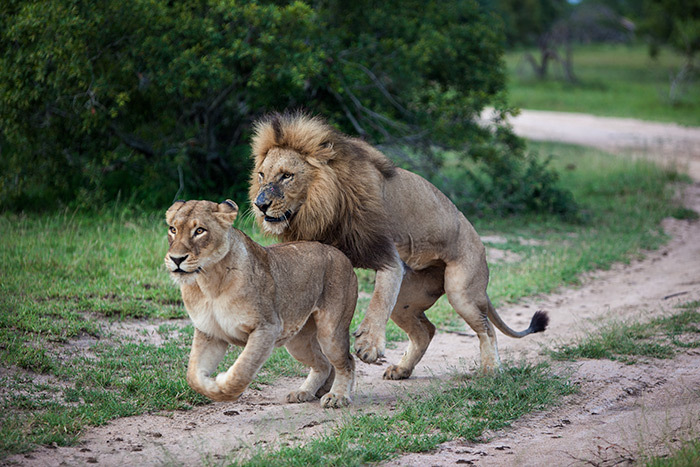 I have just loved reading about all the lions and the other animals in the wild. Adam you take great photos. 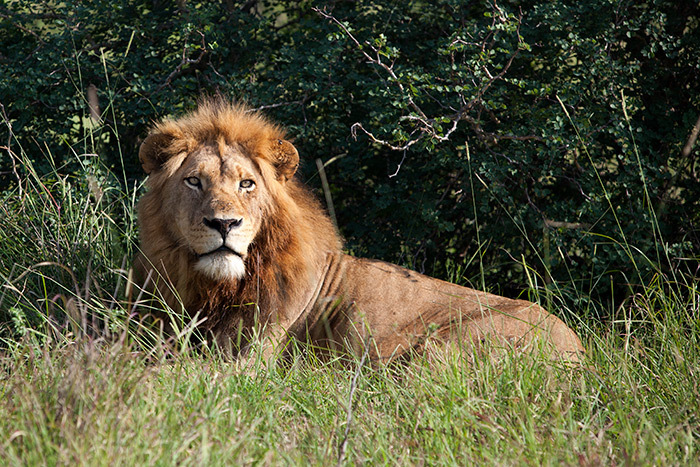 I hope 2013 will be a great year for all the lions, I look forward to reading more. 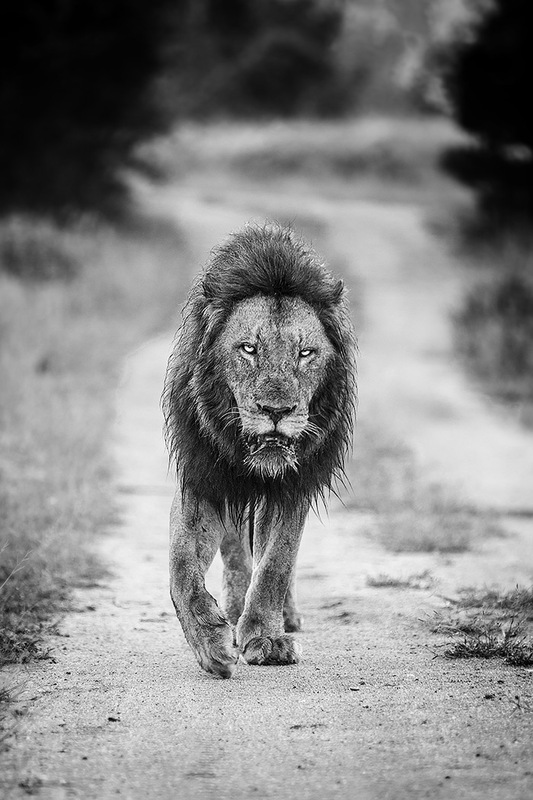 Who is the male lion in the black and white photo. Great pictures! I can’t wait until my return in 205 days!